PATTAYA:--Nong Plalai provided rabies vaccinations for pets to prevent the spread of the disease across the subdistrict. Public-health workers hosted the free vaccination event March 18 at Wat Nong Ket Yai School. Event leader Warunee Rueankaew said the vaccinations are offered annually to residents. 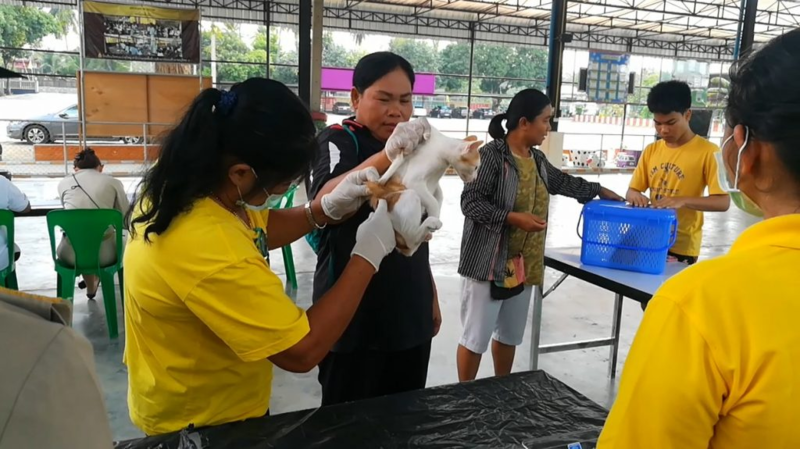 With Banglamung District previously declared a “red zone” for the disease, immunizing pets is even more important, she said. Nong Plalai also works to vaccinate stray animals, Warunee added. Very smart and useful to announce it AFTER !